 With the goal of accelerating online sales growth, Bleu Lavande chose Poudre Noire to redesign their transactional site. 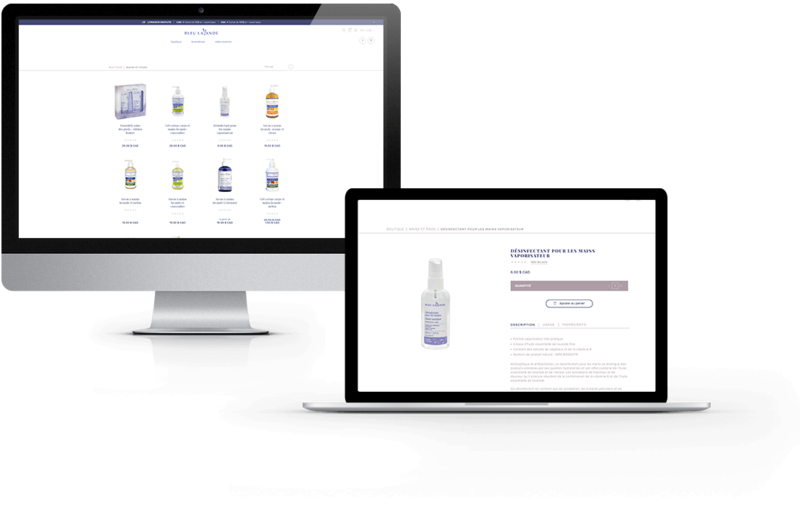 The Quebec company wanted to create a better performing and more efficient site in order to increase online sales in Canada and the U.S., while also providing a permanent connectivity solution compatible with their internal accounting system. 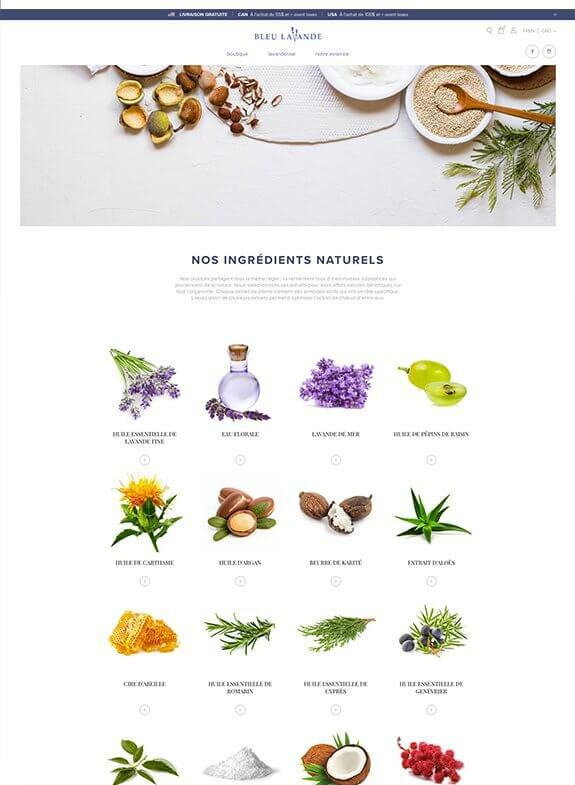 Increase online sales in Canada and the U.S.
For this mandate, Poudre Noire evaluated various technological frameworks to redesign the transactional site at bleulavande.com. Since the company’s online sales site services both Canada and the U.S., it was important for Poudre Noire to select the best technology at a cost-effective price—one that offered stability, durability, support, multiple currencies, and a multilingual platform. The agency proceeded to develop a powerful new website built to increase sales for the company in emerging markets over the next few years. 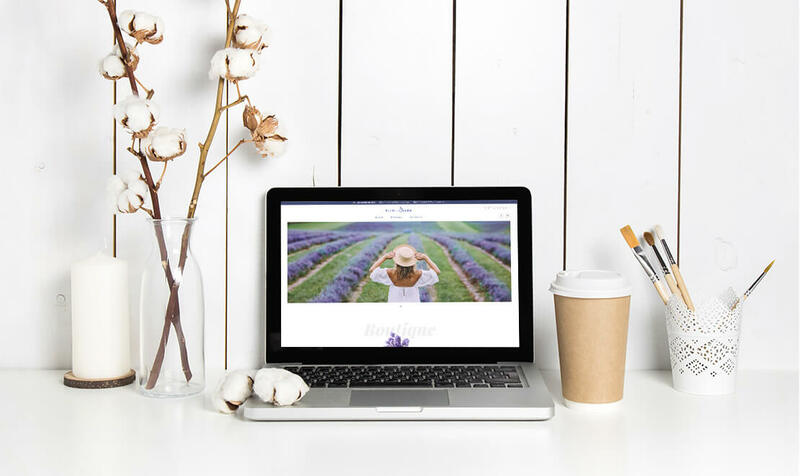 Following an exhaustive analysis of technology available on the market as well as Bleu Lavande’s needs and restrictions, Poudre Noire created a site with Shopify that offers a 100% personalized experience. Integration with other platforms like social media, newsletters, Amazon, etc. 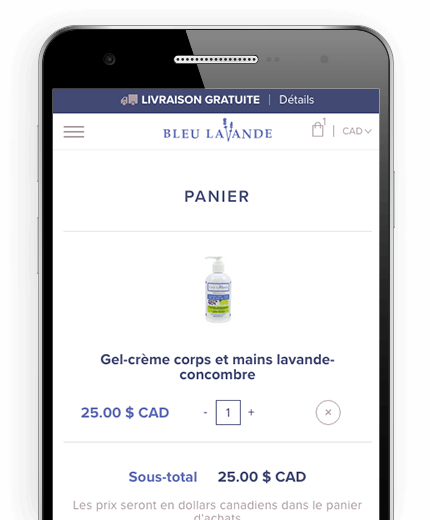 Since its foundation in 2004, Bleu Lavande offers body and home products rich in natural active ingredients that respect the environment and promote well-being. 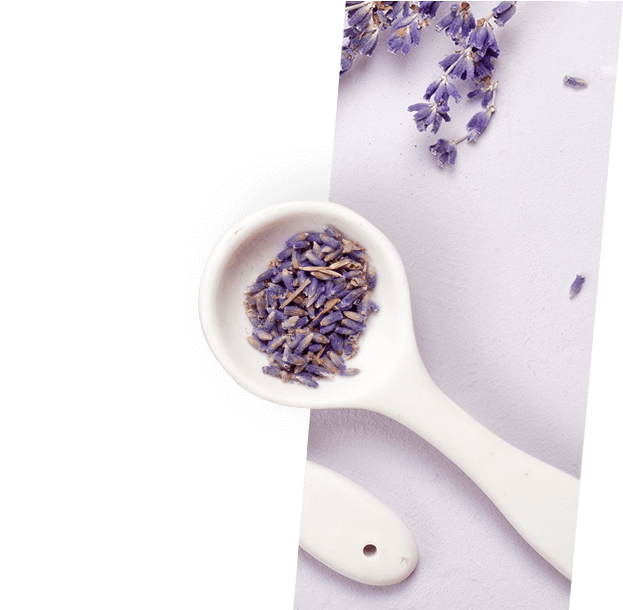 A Canadian pioneer in lavender production, the virtues of lavender essential oil are at the core of each of their innovative formulations.